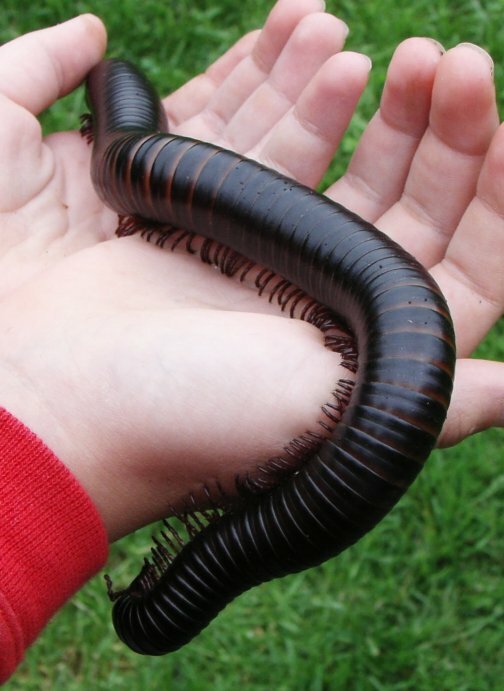 I have always kept millipedes, especially the giant African ones (Archispirostreptus gigas), which for awhile were readily available for about $20 each (now, since they are no longer being exported from Africa, they can command prices of $100 or more for each one). Because information was lacking they rarely lasted 8 months and I never had any successfully breed. Of course, by the time I figured out what I was doing wrong, they were no longer available and prices skyrocketed. Thankfully two things did happen. First off, I found some breeders who were willing to sell some for about $60 each so I grabbed a few. 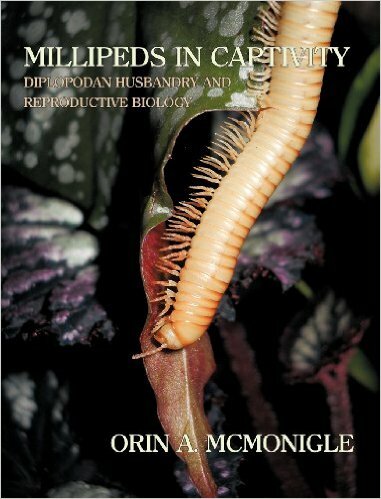 Second, I found a book by Orin A. McMonigle called “Millipeds In Captivity: Dipolopodan Husbandry and Reproductive Biology.” I actually found this book one day by accident on Amazon and despite its price tag of $35.00, which I thought was high since the book only had 120 pages, I decided to take a chance and I am so glad I did. First off let me say this; if you have any reservations about buying this book (or any of the other books that McMonigle has done) then don’t as they are all worth every penny. I have since added four more of his books to my collection and couldn’t be happier. What I like the most about his books is that they deal with keeping these animals as pets successfully. He covers everything from diversity and biology to setting up habitats, what foods are acceptable and possible health issues to keep an eye out for. 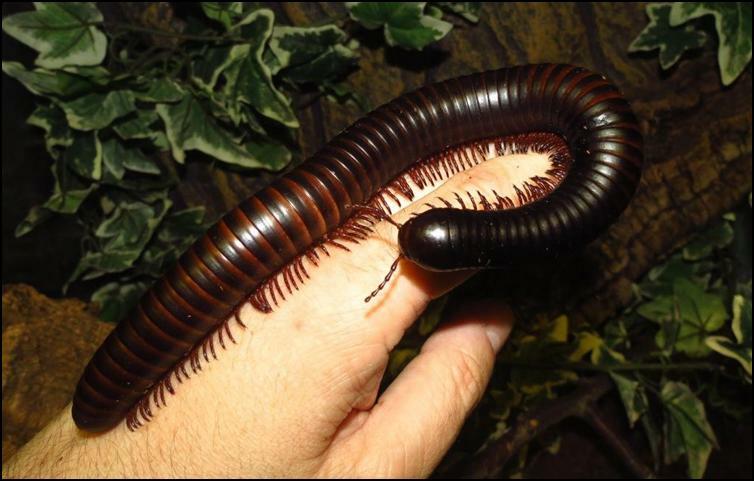 Reproduction is also covered which to me was very important as having a breeding colony of Archispirostreptus gigas was very exciting to me. This has not really been covered in much detail before. From there we go into my favorite part of the book; the species list. 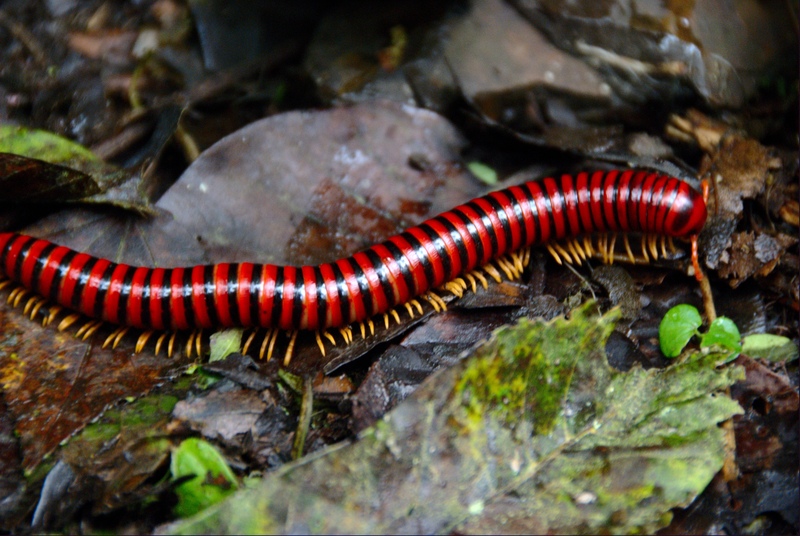 This list, though not complete by a longshot, does cover some of the most interesting of millipedes. Full color pictures and detailed descriptions are provided and at times, information on how to find them in the wild is included. The information in this book is essential if you want to be successful in keeping these amazing animals alive. I really like how this book is put together and it’s not often that an animal care book can be read from cover to cover as usually you just look up the information you need and then put it down. I have found all of McMonigle’s books to be the same in their quality and readability. 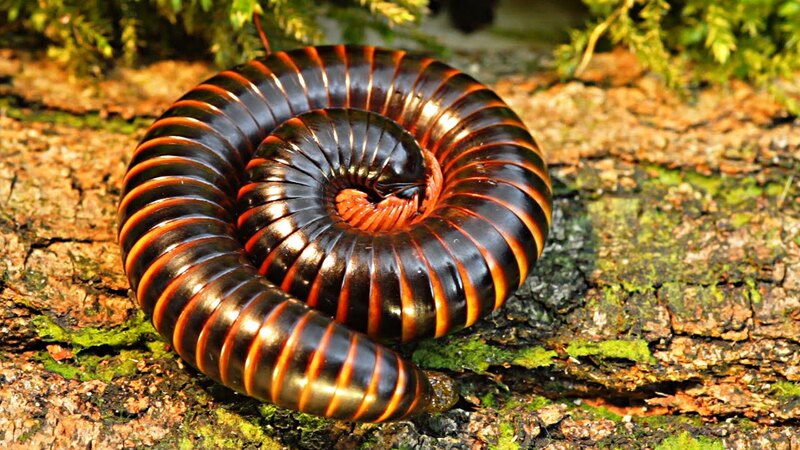 I also like that he deals with animals that are often overlooked in other books on invertebrates. If you haven’t figured it out yet then you should know that I cannot recommend this book enough! 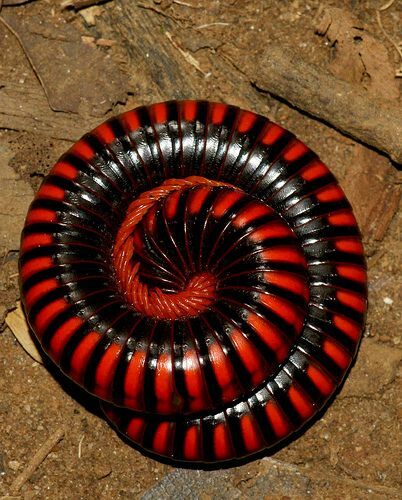 This entry was posted in Book review and tagged millipedes, Millipeds In Captivity, Orin A. McMonigle, Orin McMonigle. Bookmark the permalink. The Molting of Nhandu chromatus, the Brazilian Red and White.